The Kospet brand is a relatively new player in the smartwatch market. However, over the past couple of months, they have already managed to release several models of smart watches. These are Kospet KT58 and Kospet Hope with 3 GB of RAM and 32 GB of flash memory.A few days ago, they released the next Kospet Brave, smartwatch, combining the functions of a fitness tracker and all the standard Android watch features.. The Brave round case is made of a metal alloy. It is protected from water and dust according to the IP68 standard, which is quite a rarity for this type of watch. The watch is equipped with a quick-detachable silicone strap 24 mm wide so that it can be replaced with any other one from a third-party manufacturer. With an affordable price tag, you can purchase this beautiful smartwatch on the Android operating system with a big opportunity for applications and various features. Kospet Brave smartwatch is a novelty in the market, however, does not inferior from competitors with capabilities. Put another way, for operating Kospet Brave 4G Smartwatch there will not be a need for a smartphone at all. All the applications can be directly installed on the smartwatch. In this review article we are going to share our experience with Kospet Brave 4G Smartwatch. Not every day you can meet an Android smartwatch with IP68 water protection. Moreover, the classic design will not leave you indifferent too. The product comes in a compact package with the weight of 0.2300 kg. Product weight is 0.0670 kg. The Kospet Brave smartwatch phone has a round design. It combines both classic and sporty looks with the possibility to change the straps. The flexible silicone strap gives a sporty look, meanwhile the leather strap changes the smartwatch design to an elegant style. The Kospet Brave smartwatch screen is Gorilla Glass 3, which means that it has a protection against scratches and bumps. In addition is comes with an installed anti-scratch film. The smartwatch is not heavy, due to the body made of plastic material. The screen of the watch supports IPS technology (it is water resistant) and has a resolution of 240 x 240 pixels. Pretty good resolution for having clear images and bright colors. There are various pre-installed ways to set up a time. Depending on your preferences you can choose from the classic analog style to digital style. Connecting Kospet Brave 4G smartwatch to the Internet, you will get a wide assortment of 50 faces for downloading and changing its appearance. However, note that you can only download the faces which are pre installed officially by manufacturer. Maybe it is a little bit disappointing, however, for us even the default catalog is fully enough. Kospet Brave smartphone on its one side is equipped with the buttons, which are used to turn on/off the screen. The slot for SIM card and also for giving the Internet connectivity is situated on the other side of the smartwatch body. Please note, the Internet connectivity use a 3G or 4G data plan. You can find the heart rate sensor, charging connector and speakers on the back panel of the Kospet Brave smartwatch. Due to IP68 standard, the watch has protection against water. For me, it is an essential feature. You can take a shower, wash your hands or even swim in a swimming pool without worrying about wetting the watch. In general, the whole design of Kospet Brave smartwatch is quite good and we like it. Let’s go deeper and investigate the features and functionality of the smartwatch phone. Kospet Brave is powered with Android 6.0 system, which differentiates the watch from other non-Android type devices, such as Chinese watches. The laters focus on bringing notifications from the phone to the watch. It gives you a opportunity to have the Android application store, where you can install everything which can be run in this small device. Furthermore, there is a possibility to install a special application on your Android or IOS phone and bring notifications from phone to watch via Bluetooth. So you can manage your phone and watch in a parallel way. During our test, the Kospet Brave watch performs quite well. We tried applications to work either via WiFi or using a SIM card with a data plan, and everything works well. When we use heavy applications, we can easily notice that the temperature of Kospet Brave smartwatch increases. Thus, the battery life will fall quickly. The manufacturer does not recommend using that kind of big programs and even it isn’t practical to use them in a watch for its tiny screen. Regarding our test about the duration of the battery, we received those results. When we used the Kospet Brave smartwatch with a SIM Card using the 3G network, the battery did not last long, even did not reach the end of the day. However, reducing 3G network to 2G, we were able to increase the battery life significantly. Differently, you can use the smartwatch without SIM Card. Just be connecting it to the phone either by Bluetooth or WiFi network. That’s the way you will be able to use the watch from a day and a half up to two days depending on the use you give it. 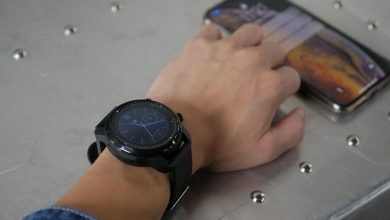 When connecting the Kospet Brave smartwatch via Bluetooth to the smartphone, you have to see an associate application on the phone, which is sending the notification to the watch. First one is just watching the notification. For instance, a WhatsApp or Viber message. Second is to open it locally. Note that for the second variant you need to have already installed the same application on your watch. Calls and messages from the clock itself. Download additional applications and dials. Determination of location, speed, trajectory by GPS. Sleep monitoring Counting steps, calories and distance. When the Bluetooth connection is active, we can control the music player of the smartphone. With the watch, we can pause or change the songs, also manage the volume of the music. Kospet Brave smartwatch uses Fun Do application. It is an application designed for sports. During the day the program will record your movement distance, speed, burned calories, etc. Then produce your exclusive sports report. In the application settings, the users can change the watch faces. They can customize the watch, download new watch faces and replace them in case of need. In the end, Kospet Brave smartwatch gives you an opportunity to set up the Bluetooth Calls feature if you do not want to connect the SIM card in the smartwatch. However, you can answer to SMS or phone calls both on the phone or on the watch. We can confirm that the speaker included in the Kospet Brave 4G smartwatch has good sound and quality. It is quite enough for hearing the notifications, the voice of people during the call. Moreover, if you do not want you to disturb during meetings, you can activate the vibration for the case of notifications. From our standpoint, in the middle range with IP68 standard, the Kospet Brave is the best 4G smartwatch with Android 6.0 system. Now, when the price is reduced to $99.99, it becomes more affordable and adorable. It has almost everything which can offer a mid-range smartphone. The Kospet Brave smartwatch has its bio metric sensors, with which you can run, listen to music do other fitness activities without having to carry the phone with you. Overall, we are very pleased with this device. It facilitates our lives. Now we can do many things, receive notifications without taking our smartphone from our pockets or bag. Performance samples from the Redmi Note 7 camera!